Have you ever spied a salt marsh near an attractive piece of St. Simons Island waterfront properties and wanted to take a closer look? If so, you are one of many people who have been captivated by them over the years, Sidney Lanier being among the most famous. 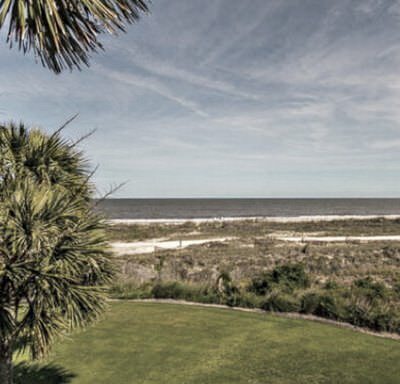 They are amazing places that attract more than just people in search of St. Simons Island real estate. Salt marshes are also rich in flora and fauna. According to the Georgia Department of Natural Resourcesâ€™ research, the salt marshes in our area likely date back millions of years to a time when the state was buried underneath mounds of ice and snow. Of course, things have changed drastically since then. For starters, one would be hard-pressed to find a snowflake. But it is easy to find cord-grass blowing in the breeze. Swaying cord-grass is just the start of what one will find upon closer inspection. On the intertidal mud flats and dry land, itâ€™s easy to find sea creatures and warm-blooded mammals. Marsh periwinkles may cling to the grass as it sways. Theyâ€™re a type of snail that calls St. Simons real estate home. Ribbed mussels tend to bury in the sand while salt marsh rabbits scamper among the cattails. The water is also typically rich in shrimp, coquina clams, mud crabs, fish and eastern oysters to name a few. As such, many people like to visit St. Simonsâ€™ salt marshes with a bucket and shovel, net or fishing pole in hand. There are also those who like to purchase St Simons Island marsh front properties or ones with a marsh view. We have several properties with those features available for sale or rent now. To learn more about Georgiaâ€™s salt marshes and how they benefit people who invest in St. Simons real estate, please contact us at DeLoach Sothebyâ€™s International Realty.